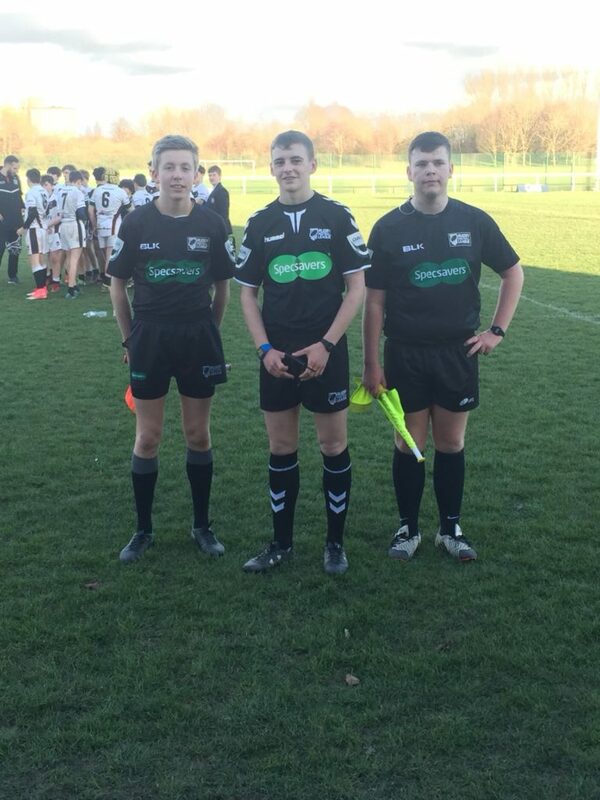 Ryan Cox & Mackenzie Maddison officiate at the North West Champion Schools finals. 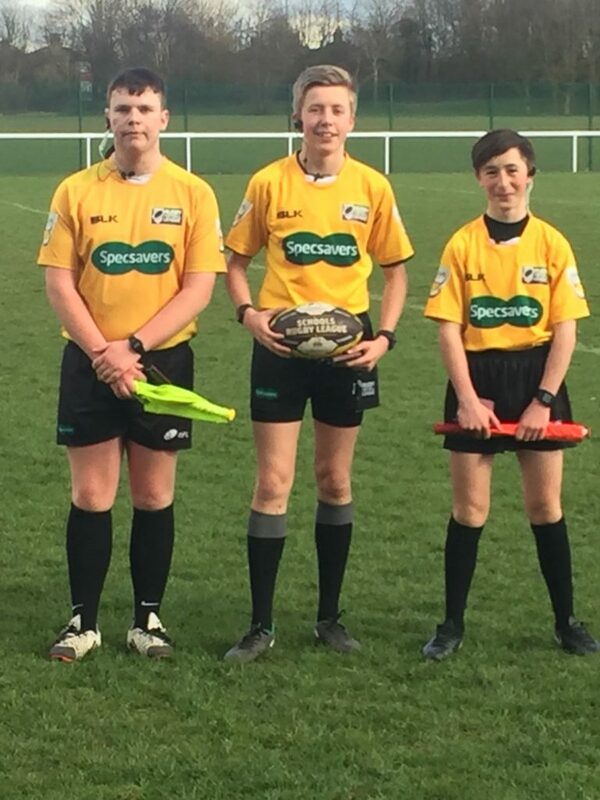 The North West Champion Schools finals took place on Wednesday 28th March at Victoria Park, Warrington. Ryan Cox and Mackenzie Maddison represented the Society alongside colleagues from Warrington, Widnes & Wigan Societies. 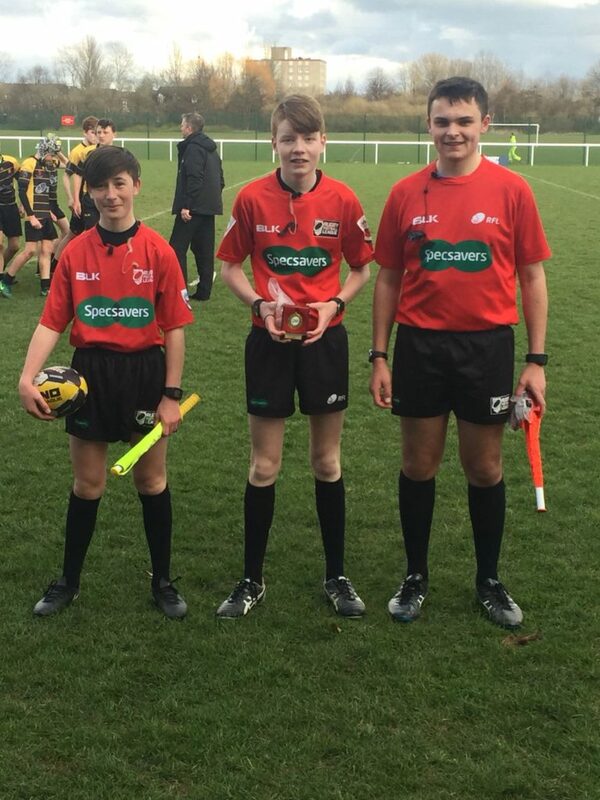 The young officials are working towards the national finals in summer which sees the Year 7 Boys final held at Wembley Stadium as the curtain raiser to the Challenge Cup Final. and Touch Judged the Year 10 final between Wade Deacon & Saddleworth. 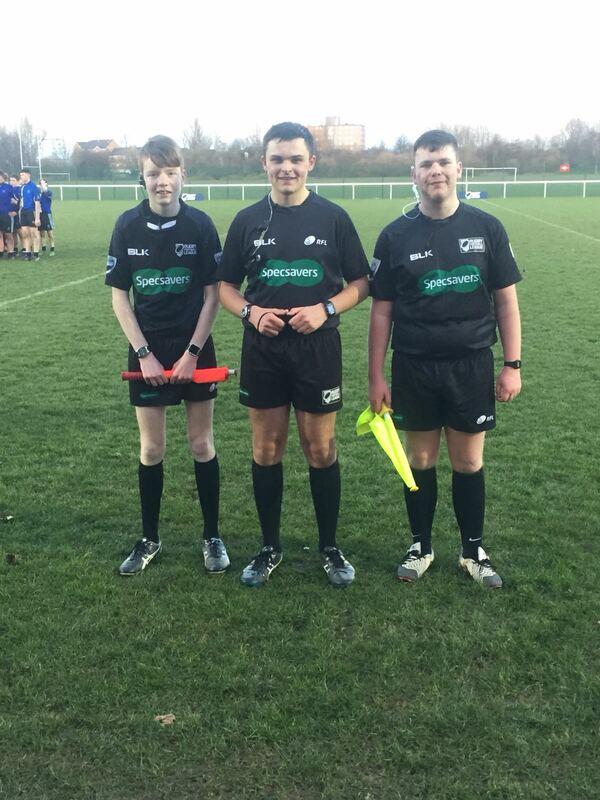 and Touch Judged the Year 9 final between Wade Deacon & St John Fisher.